Cynthia Hogue, ASU’s Marshall Chair in Poetry, and Jenny Irish, Assistant Director of ASU’s Creative Writing Program, give a poetry reading at Changing Hands Bookstore at the Tempe location 6428 S McClintock Dr, Tempe, AZ 85283 on Thursday, February 23rd, 2017 at 7 p.m. Hogue will be reading from her ninth collection, In June the Labyrinth and Irish will be reading from her debut collection, Common Ancestor. For more information on this event, visit the Changing Hands Bookstore’s website. This event is free and open to the public. 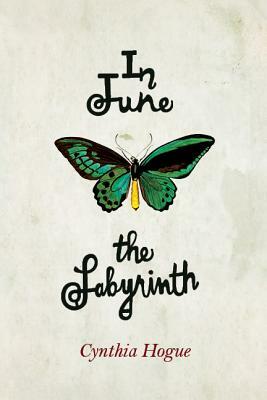 Hogue’s In June the Labyrinth the main character of this postmodern fable, travels a trans-historical and trans-geographical terrain, on a quest of sorts, investigating not only the “labyrinth” as myth and symbol, but something akin to the “labyrinth of the broken heart.” The story is an earnest female pilgrim’s journey, full of disappointment but also hard-won wisdom and courage. Hogue has been described in a New York Times micro-review as having a “knack for intensity.” She has published fourteen books, including nine collections of poetry, most recently Revenance, listed as one of the 2014 “Standout” books by the Academy of American Poets, and In June the Labyrinth (Red Hen Press, 2017). With Sylvain Gallais, Hogue co-translated Fortino Sámano (The overflowing of the poem), from the French of poet Virginie Lalucq and philosopher Jean-Luc Nancy (Omnidawn 2012), which won the Harold Morton Landon Translation Award from the Academy of American Poets in 2013. Hogue served as the Distinguished Visiting Writer at Cornell University in the Spring of 2014. She was a 2015 NEA Fellow in Translation, and holds the Maxine and Jonathan Marshall Chair in Modern and Contemporary Poetry at Arizona State University. Irish lives in Tempe, Arizona, where she teaches creative writing and serves as the Assistant Director of the Creative Program at Arizona State University. In addition to her new collection of poetry, Irish’s fiction has appeared in Alaska Quarterly Review, Blackbird, Catapult, Colorado Review, Epoch, and The Georgia Review. 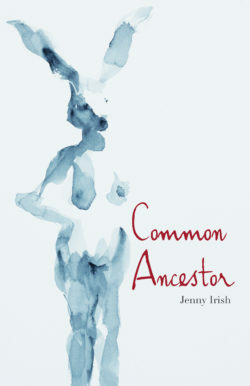 Irish’s debut collection of prose poems, Common Ancestor, is an awe-inspiring read. From the confident power of its narratives to the hurricane-force language of its vision, this poetry is riveting. In two dramatic personae series of gorgeous, near-gothic detail, Irish looks at all the havoc humans wreak and does not blink. She scrutinizes violence with rare sang froid, and though never moralizing, leaves us in little doubt of the moral center of her universe: “Metal is not guilty for what it does in man’s hands, absent of soul,” as one poem puts it. In lines laced with brilliant figure and sly internal rhyme, Irish’s poetry is charged by truth’s searing song.